This formula can help with many inflammatory bowel diseases such as Crohn's Disease, IBS, colitis etc. The Alka Jug turns ordinary water into alkaline ionized mineral water. It increases the pH of drinking water about 2 pH basis points, which has many health benefits attributed. The Ionza Alka Jug uses a unique alkalizing media to do this. Capacity of pitcher: 3.5 liter gross. What are the benefits of Ionized Water? There are many more water Ionizing and alkalizing devices available. Click on the image below to see what else might suit your health needs, budget, and home environment. A little bit goes a LONG way so this will last a very long time. This is our most popular oil. Order includes a list of "100 Uses of Thieves Oil." I usually keep a stock of Thieves oil and I can also order any other Young Living Essential Oil in their range. Zing Super Trace Mineral Concentrate with Fulvic Acid, one 2 oz. bottle lasts up to 144 days! That's 4 1/2 months. Zing Trace Minerals Super Concentrate is nature’s miracle molecule. Zing is a super concentrate and is the purest and most cost effective trace mineral supplement available. Zing is so concentrated that is must be packaged in glass. One 2 ounce bottle contains the same quantity of trace minerals as 10 plastic quarts of most other mineral products. Zing is made from a pristine and pure source of ancient plant material and contains over 70 trace minerals and 12 trace amino acids, in a pure cold water extraction of Fulvic Acid for optimal cell absorption. It can be taken internally and externally, contains no artificial additives sweetners or preservatives, and is vegan. Minerals are the underlying building blocks of all life. Civilizations have consistently arisen in areas where the top soil is rich in minerals and fulvic acids. When the soils were depleted, those same civilizations typically collapsed. The same is true of individuals. We thrive when we are getting food that is rich in a full range of minerals. We become weak and frail when we are depleted of the minerals and soil acids. Fulvic acid is the byproduct of the break-down of plant material. The acid dissolves the rocks in the soil, releases the minerals, and binds with and transports the minerals into living plants. Fulvic acid is also essential for optimal transportation of minerals into our cells, perhaps even more essential than the size of the mineral particle. When trace minerals bind with fulvic acid they become much more bio-available than isolated soil or ocean-based minerals. Together they allow maximum uptake of nutrients and removal of waste from the body. Zing uses a unique cold artesian water extraction technique without the use of chemicals or additives. This assures a pure natural mineral and fulvic acid combination. We will be soon carrying an assortment of fermented foods and drinks from BeNourished. Cultured foods have been an integral part of traditional diets for thousands of years and are essential to a long and vibrant life. Sauerkraut, Kimchi & Sauerkraut Juice are all examples of probiotic cultured foods. Be Nourished provides amazing varieties of Sauerkraut and other lacto- fermented cultured vegetables. These superfoods are teaming with live organisms and essential enzymes that aid digestion and repopulate the digestive tract with beneficial bacteria. Loaded with vitamins, minerals & phytochemicals they make the perfect complement to any meal. The benefits of HCG for weight loss are very well known and have been featured by Oprah, Dr. OZ, About.com, Time Magazine, and in the best selling book, The Weight Loss Cure. The following is taken from "The HCG Diet Gourmet Cookbook - Tammy Skye"
H.C.G. stands for Human Chorionic Gonadotropin. The HCG spray combined with low calorie diet of 500 calories a day for 3 weeks, observing a strict, food specific, low calorie diet allows the body to burn fat at a rapid rate. While the dieter is on the HCG, the body utilizes the abnormal fat stores of the body for fuel. It is also theorized by the doctor who developed the diet, that the hypothalamus gland is reset at the end of the protocol improving the metabolism, and regulating the endocrine systems more efficiently. After the HCG Phase (also known as Phase 2 or P2), you can eat a normal calorie diet with a large variety of foods with the exception of starches and sugars for a period of 3 weeks - this is also called the Stabilization Phase (Phase 3). Finally the "Maintenance Phase" (also known as Phase 4) you can begin to slowly incorprorate carbohydrates back into your diet and enjoy your new, faster metabolism. This product and programme comes from Manutuke Herbs and is for 3 weeks (low calorie with spray) and three weeks of slowly re-introducing foods to establish long term weight loss. Using the HCG drops draws on fat reserves to make up the remainder of calories needed to get through the day. The HCG programme is clinically trialed and proven to NOT use lean muscle or healthy fat reserves. If you have no excess fat - HCG will not work on you. HCG has successfully been used since the 1950’s were these drops were originally injected into the body by Doctors. Manutuke Herbs Drops are the homeopathic form and are in a simple oral spray administration and are non invasive and easy to use. People who are insulin dependent, pregnant and breastfeeding women are not able to do this programme. I will be running a guided programme....click here for details. Pure South is a mineral rich clay sourced from the South Island of New Zealand. Pure South clay is a multi-functional mineral complex. It not only has vast mineral stores, but also has a strong ionic cleansing capacity: it attaches itself to toxicities in the body and pulls them out through the eliminative channels, while at the same time mineralizing the body. One simple supplement – two vital functions. Ben Warren has been creating an amazing Health Revolution in New Zealand. I love his Fish oil blend supplements. I strongly recommend all his products! Not all Fish Oils are the same! Enjoy the BePure THREE difference!! Dr. Ralph Holman (the Grandfather of Omega 3) found that populations who had high levels of omega 3 in their blood were the healthiest. Omega 3 fatty acids are essential nutrients for normal metabolism. Today, the health benefits of Omega 3 fatty acids are well established, with Omega 3 being one of the most heavily researched nutrients in the world. The most beneficial Omega 3s are EPA (eicosapentaenoic acid) and DHA (docosahexaenoic acid). Fish is the best source of DHA and EPA. 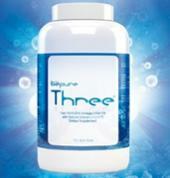 BePure THREE is a high EPA/DHA fish oil supplement. Click here: Why BePure Three Fish oil? This dietary supplement is a combination of elemental iodine and potassium iodide which provides the body with 6.4 mg of elemental iodine per drop. Iodine is essential to keep the thyroid gland healthy. The thyroid gland treats the entire body’s blood supply once every 17 minutes. If it has sufficient iodine it is able to kill germs and virus contained in the blood and release clean blood, which is essential for good heath. Another function of a healthy thyroid is to rebuild the body’s energy. There is a definite relationship between the amount of energy and your iodine intake. It may offer protection against cancer, especially breast and ovarian cancers. Normally we receive iodine in our food and water: such as seafoods, kelp, cod liver oil, radishes, asparagus, carrots, tomato, rhubarb, potatoes, peas, strawberries, lettuce, bananas, cabbage, egg yolk, and onions. However one major problem is that when chloride is added to the water supply it displaces iodine from the body, as does too much salt. The law of Halogen displacement states that any one of the following elements will displace any element with a higher atomic weight. Hence, chlorine(in water or salt) and fluoride(in water, toothpaste or vegetable sprays) will displace the essential iodine in your body. Hence the need to supplement for good health. Iodine has successfully been used for Radiation Poisoning and protection. Iodine supplementation into New Zealand bread flour equates to only 1 mg per loaf, which is far below the recommended 12 mg per day. Take 8 drops of Lugol’s iodine daily for a period of 3 months. This allows the iodine to penetrate all parts of the body to dislodge poisonous deposits of Bromide, Fluoride, Chloride, Mercury ,Lead, Cadmium, and Aluminium. These will be secreted with iodine in the urine over the 3 months. The detox will increase to a peak over 2 months before falling to low levels in the 3rd month at the end of which the supplement is reduced back to the maintenance level of 2 drops a day. The recommended normal adult dose is 2 drops a day taken with fruit or vegetable juice, or water with a teaspoon of apple cider vinegar, taken with food. 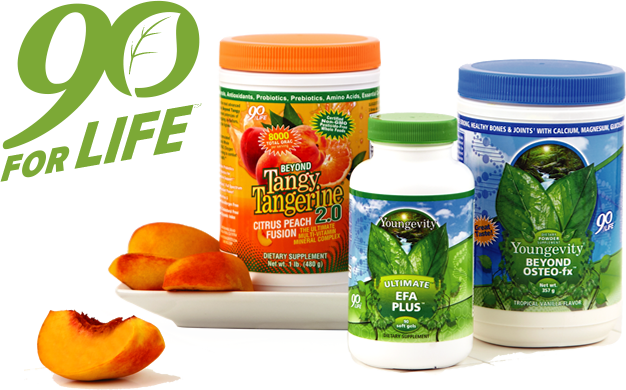 Youngevity's range of natural health supplements are some of the BEST available anywhere in the world! They exist to deliver exceptional nutrition and healthy lifestyle solutions for you, so you can more easily meet the often overwhelming demands of modern living. Dr. Joel Wallach, founder of Youngevity, discovered that the body requires 90 essential nutrients to fully function. With these nutrients the body can avoid, and even reverse, many of today’s pressing health concerns. Nutrients are only as good as your body’s ability to absorb them. 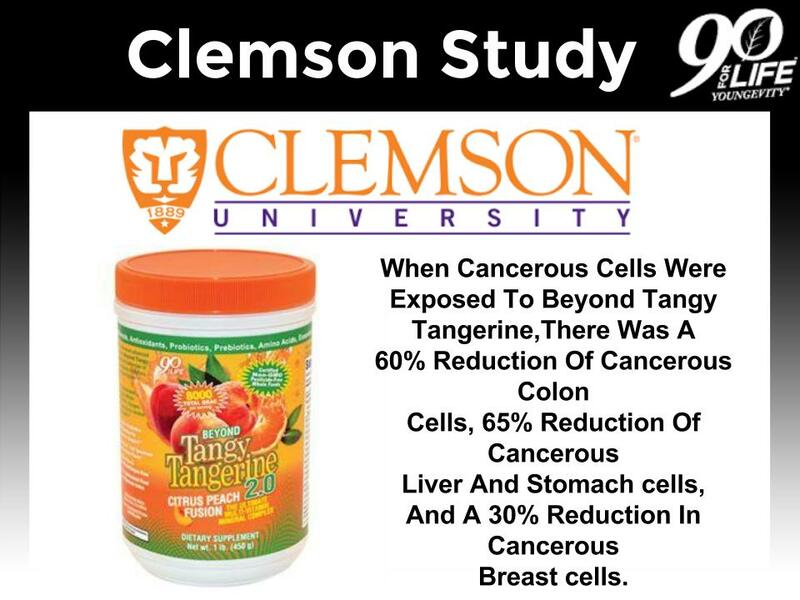 Youngevity’s core “90 For Life” products, specifically designed for ideal absorption, ensure that your body has the nutrients it needs to perform at its optimum level so you feel younger, have more energy and live longer. Most people don’t get enough magnesium, including many who already take magnesium supplements. There are two reasons for this: the amount of magnesium required by the body is greater than most people think and many magnesium capsules and tablets are not completely absorbed by the body. Natural Calm is the solution to both restoring a healthy magnesium level and balancing your calcium intake—the result of which is natural stress relief. Natural Calm is the best-selling magnesium supplement on the market for over seven years in a row according to health food supermarket scanner reports. It features a proprietary formula that provides a highly absorbable, water-soluble magnesium in ionic form (having molecular charge that allows the element to easily bond with water), so it is ready to go to work right away. Natural Calm can gradually reduce accumulated calcium, giving fast relief to many symptoms of magnesium depletion. With fourteen strains of beneficial bacteria at a concentration of 10 billion per gram, Bio-Kult is one of the most powerful probiotic supplements available. Each capsule contains a minimum of 2 billion live microorganisms. A healthy body naturally hosts trillions of beneficial bacteria. Amongst other things, the bacteria help to support and maintain a strong immune system and a healthy digestive system. Today's lifestyle of stress and poor nutrition can compromise these essential functions. The complete formula in Bio-Kult helps balance and maintain these natural systems against pathogenic and opportunistic organisms. Bio-Kult is a unique multi-species, multi-strain live bacteria supplement with 14 strains of beneficial bacteria. This means that Bio-Kult can deliver high concentrations of beneficial bacteria to the colonisation sites in the gut – and therefore be able to help a more diverse range of digestive disorders. It is of fundamental importance that we have an adequate level of these probiotic bacteria in our bodies at all times. 1 - 2 capsules once or twice daily with food. If taking two or more capsules daily, you may wish to split the dose between two meals. Bio-Kult is a completely safe probiotic, has no contraindications and carries no risk of overdose. Bio-Kult probiotic capsules can be pulled apart and the contents sprinkled on to food, mixed in a drink or swallowed whole. Store in a cool dry place - no need to refrigerate. Miracle Mineral Solution has superior antimicrobial activity. Acidified sodium chlorite is being used in many countries, including Australia and the USA, as an antimicrobial treatment in the food industry, for water purification, and for sterilizing hospital and clinic rooms and equipment. In hospitals it has been used as a disinfectant for a hundred years. It should be stressed that MMS is not used to treat people but rather to purify water. We can then drink the purified water, or with the new absorption method it can be absorbed sublingually; no need to swallow. An Organic, liquid, ionic, phytonutrient-rich dietary supplement from whole-food sources! Does it get any better than that?! Body Balance is a liquid, ionic supplement, derived from whole-foods, such as aloe vera, nine sea vegetations, black cherry, and honey. This amazing blend provides the body with over 120 naturally occurring phytonutrients! Aloe vera – The aloe vera in Body Balance meets the standards of certification by the International Aloe Science Council. It’s cold-processed, certified organic, inner-fillet aloe. Aloe contains many biologically active molecules and is considered one of the most beneficial and useful botanicals on earth. It has demonstrated many important health-supporting effects. Even after decades of study, researchers continue to be impressed with new findings about this member of the lily family. Sea vegetation – With the passage of time, vast amounts of vital minerals have washed into the ocean. Sea vegetation absorbs these as phytonutrients in an organic and ionic form. For a wide spectrum of phytonutrients, nine select varieties of sea vegetation are used, which are harvested from pristine ocean waters in the North Pacific. Aloe Vera Juice (from Certified Organic inner fillet – reconstituted to its natural state) – 92%, Honey, Natural Black Cherry Essence, SeaNine – 3% (a concentration of nine types of wild harvested edible seaweed), Fructose, Acidity Regulator (citric acid), Preservatives (potassium benzoate, potassium sorbate). Percentages are by weight. Seaweeds are weighed dry. You can sign up as a customer or as a business member. Sign up for Autoship and the price goes down! Please note: The statements on this website have not been evaluated by the Food and Drug Administration or any other regulatory body. The products and information mentioned on this website are not intended to diagnose, treat, cure, mitigate, or prevent any disease. Information and statements made are for education purposes and are not intended to replace the advice of your physician.